Ecover is committed to developing products that benefit from the inherent cleansing power of natural elements. We have spent over 20 years of dedicated research ensuring that our unique products benefit humans, the environment and wildlife. 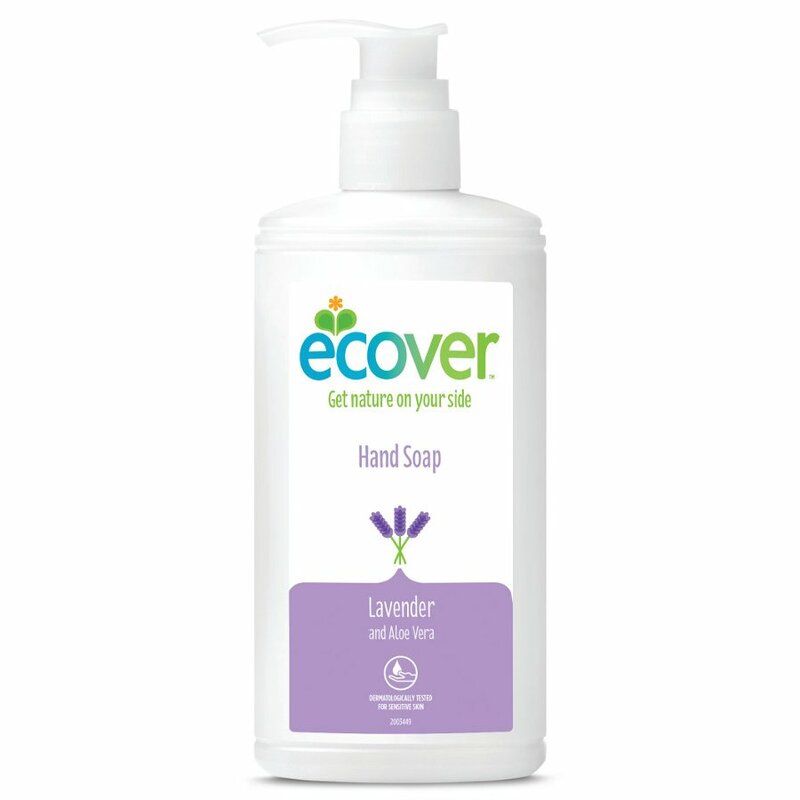 Ecover Handsoap contains natural moisturising ingredients ensuring the optimal care of your hands, naturally. Not tested on animals. Better still, why not refill your bottle with a 1 litre, or 5 litre refill. The Ecover Hand Soap - Lavender & Aloe Vera - 250ml product ethics are indicated below. To learn more about these product ethics and to see related products, follow the links below. Smells really good and moisturising for hands! Q: Does the 5l refil hand soap also have the lavender perfume ...ie. is the soap identical to that in the hand dispenser supply? Q: could you state the volume of this dispenser? the bulk purchase is 5l but it is impossible to compare it to the standard size when that is stated in grams. A: The volume is 250ml. Thomas. Q: Does this product contain parabens and sodium laureth sulfate etc? 1 out of 8 found this question and answer helpful.